This is a pair of very pretty tourmaline cluster beaded earrings. 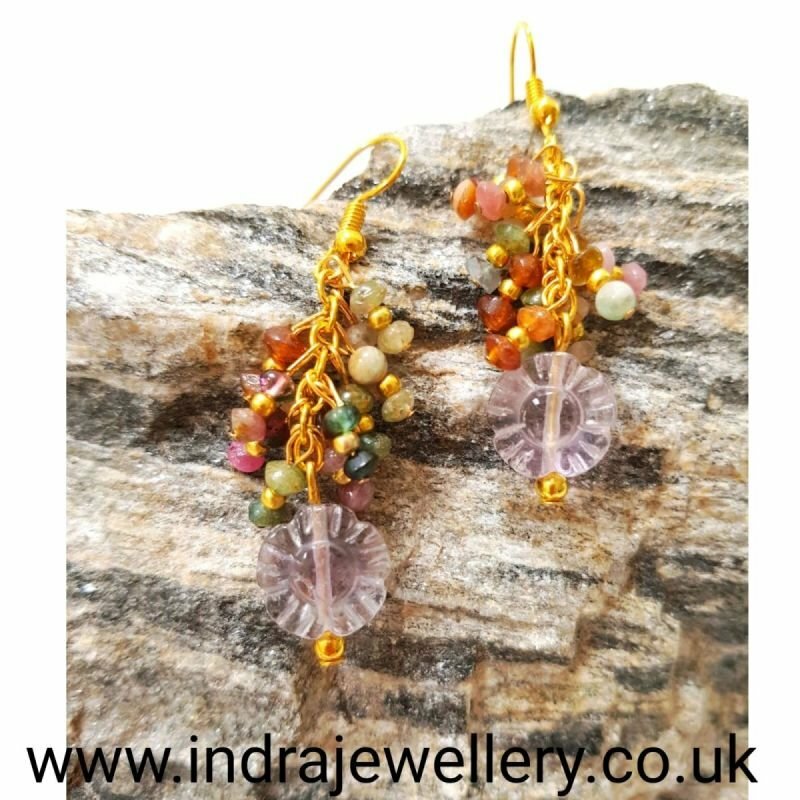 The beads are genuine watermelon tourmaline rondelles and I have added little gold spacer beads onto each strand of the clusters to give these earrings a stunning finish! I have finished them with a tourmaline carved flower bead at the bottom. They are attached to nickel free gold plated hooks.